SANTA CRUZ, Calif., Jan. 11, 2017 /PRNewswire/ — Cannabis Club TV of Santa Cruz and Mazakali of San Francisco announced today that they have entered into a strategic partnership. With the help of Mazakali’s strategic, financial and business consulting services, the rapidly-growing groundbreaking digital network of Cannabis Club TV is keenly positioned to be the industry’s preeminent media outlet. 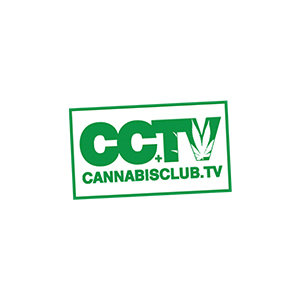 Cannabis Club TV is the first broadcasting network devoted to the cannabis industry, certified by Tommy Chong- at dispensaries & on the internet. The rapidly-growing network produces and publishes the latest cannabis-related news, entertainment and business content straight into dispensaries’ waiting rooms and sales floors across the nation while simultaneously helping to facilitate a marketing and branding reach for businesses like never before. For more information visit cannabisclub.tv or on Social Media at: www.facebook.com/CCTV420/ on Facebook, @TVcannabisclub on Twitter and @cannabisclubtv on Instagram. This entry was posted in Blog, Think Tank. Bookmark the permalink.